Reem Assil is the force behind Reem’s California and Dyafa, two beloved eateries in Oakland, California. Reem’s began as an Arabic-flatbread stand but evolved into a bakery; Dyafa is her restaurant. Both businesses are relatively young, with the bakery opening in spring 2017 and Dyafa on its heels by roughly a year. While it hasn’t been long since Reem set out as chef-owner, she has already experienced intense highs and lows: While opening Reem’s, she became pregnant with her first child, a challenging pregnancy that involved early labor; she earned a James Beard nod and a place on Food & Wine’s Restaurants of the Year list; and she faced backlash, including threats to her safety, set off over a mural of Rasmea Odeh in the bakery. She didn’t let it stop her. For Reem, who is Palestinian- and Syrian-American and a former community organizer, food is activism: an opportunity to bring people together, to educate, and to create social change. Tremendously inspired by Reem’s resilience and vision, we were thrilled to hear her insights on her relationship to food and activism. Reem’s California and Dyafa each have their own personality; how would you describe them? Both of my restaurants are sanctuary spots; places for people from all walks of life to come and share the gifts of Arab hospitality. I also see them both as vehicles for social change, whether it's changing the way the industry works and how we employ people, or how we help educate people about Arab history and culture. 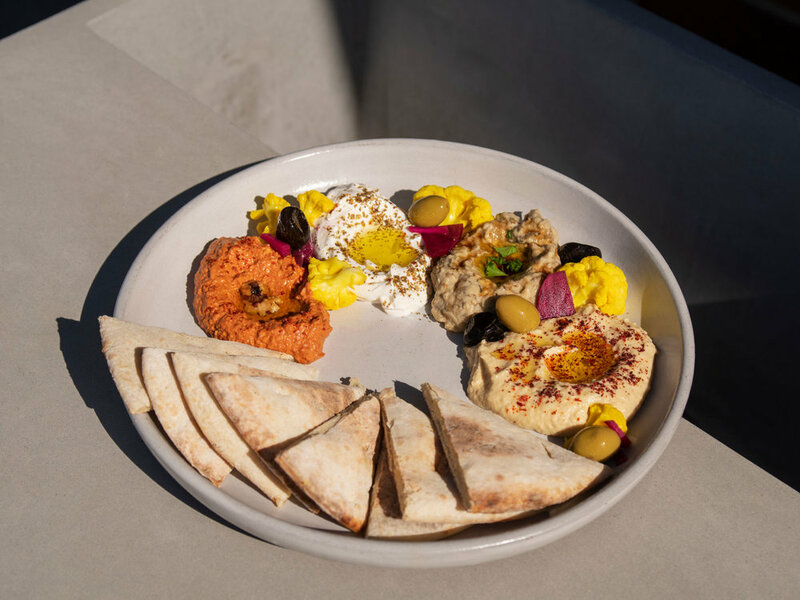 At Reem's [the bakery] we built our foundation on farmer’s markets, so it definitely has a street food vibe, modeled off the street-corner bakery. The words on the menu are intentional and meant to be accessible to all kinds of folks, particularly people who have never seen the cuisine, so we use a lot of fun names like “Pali Cali” and "The Classic." We have fun with flavors and ingredients people might be more familiar with. Reem's is part of people's everyday routines — it's literally on a transit line, and it’s a place people go on their commute. Dyafa is a place for extra-special occasions. The dishes have Arabic names and they show more of the breadth of cuisine from the region. 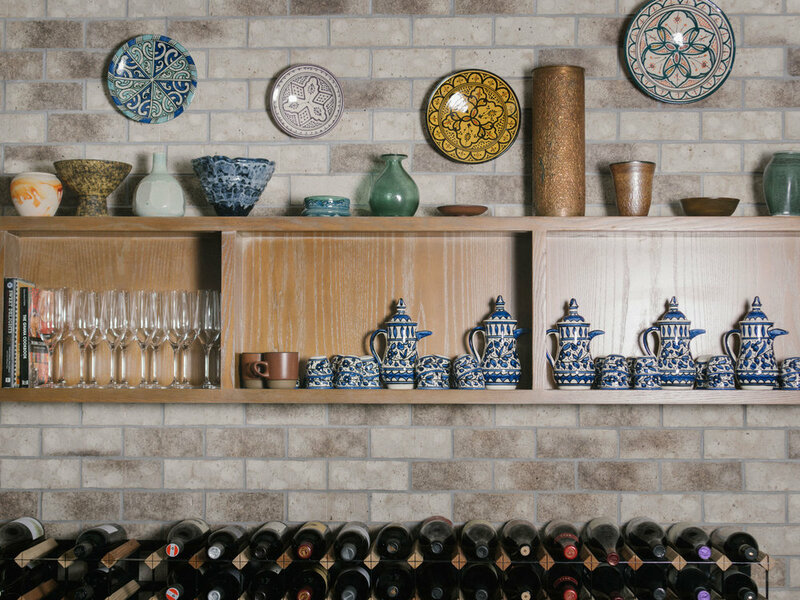 It's more elaborate mezze dishes served family style, the kind that you just keep eating, and eating, and eating some more. At both, bread is essential to our menu. The bakery is meant to be more of your regular routine, and Dyafa is more of a place to do it up and have a feast. We’d love to know more about your trajectory; you spent a decade working as a community organizer before embarking on a career in food. What brought you to food, and how did you make that leap? Food has always been a part of my life from a very young age. It was the thing that marked my cultural identity. Food was was how our parents kept culture in the home. My mom was a working mom, so I had to learn how to cook by necessity. But it wasn’t until my adult life that I decided to embark on [a career in food]. When I was in college, I developed severe acid reflux due to the combination of school-related stress and the impacts of feeling anti-Arab racism after 9.11. I stopped eating. I moved to California to heal from that experience. I was reintroduced to food, and it became a healing tool. I’ve always been on a quest for that. After years of professional community organizing, I was yearning to do more transformative work. The professional realm was always being in the fight. So I went on a soul-searching trip back to the homeland. I found these food spaces as a place for healing and had an “aha” moment. I came back and enrolled myself in a bread-and-pastry program. I had this vision for a street-corner bakery. In the journey to get there, I was fortunate to get into the competitive food-incubator program that focuses on immigrant women and women of color, La Cocina. They helped me carve out my vision for Reem’s, and opened up a lot of opportunities that wouldn’t have happened otherwise. We started small at farmer's markets, and grew the brand until we landed a space in Fruitvale, Oakland. In 2017 you opened Reem’s to a lot of praise and support from critics and the Oakland community alike, but you also faced extreme hardship: Upon opening, the mural of Rasmea Odeh in the bakery set off intense backlash, including some really terrifying threats to your safety — and all while you were pregnant with your son. How did you get through that time? In this administration, the far-right groups are very emboldened, but their strategy has always been to silence people like me who are proud of our culture. I wasn't surprised when it happened given what I had experienced in the past, but it was still scary in the days of Charlottesville and a lot of anti-immigrant sentiment in the mainstream. But I got through it by remembering to channel Rasmea’s resilience and not be silenced in the wake of threats. It’s important for me to speak my truth and normalize the political struggle to liberate my community. Rasmea is part of that history. Of course, being personally bombarded day in and day out took a toll on me, especially being pregnant. I try to see the bigger picture of what I’m trying to do. One thing that helped is that people really knew what Reem's was all about and supported me through thick and thin. Reem’s is about community building. It’s about providing a sanctuary space for people to share food, to have conversations. People knew what the Reem’s vision was about and could see through these lies. What advice would you give to other passionate women chasing their dreams or working hard to make change, but facing big challenges along the way? Find your community. Community has always been there to answer in times I've felt isolated as a leader or an entrepreneur. If you don’t have community, build community. I grew my family through the La Cocina network. Surround yourself with other strong women who want you to succeed. We need each other. Your work as a chef is value-driven, and you see the potential in food to inspire peace and healing. Can you tell us a little more about the values being expressed through Reem’s and Dyafa, and how you’re seeing this concept through? Community, social justice, and sustainability are our core values. It’s about building a resilient community. It’s about using my business as a functional space and a vehicle for transformation — creating pathways for leadership, making sure people are seen and heard, and feel taken care of. The process of human connection and creating visibility for the invisible. It’s really healing that people are at peace with themselves. My spaces are about challenging the status quo and confronting the systems of inequity and oppression that have kept people fragmented. Reem’s is about helping people be their best selves. You’re a new mom, and a very busy one. What do you like to cook and eat at home, when you can? My husband’s Filipino. One of my wedding vows was to cook chicken adobo! It’s hard with my busy chef life, but when I have a moment, I’ll do a Southern style with coconut. I like a lot of salads, especially in the summer. A lot of pasta, too :). You obviously have a very strong relationship to food; on a personal level, what does food mean to you? Food can be a place of trauma and healing. Unfortunately, people abuse food systems as a way to punish communities. My hope is to use food as a tool to replenish what was tarnished. I’m essentially still an organizer, but through food. My mom is the type of woman I feel like I watched from a very young age be resilient over and over again despite her circumstances. My grandma and a lot of the elder women in my family had that sort of get-stuff-done-with-what-you-have type of mentality. They took care of others and oftentimes took care of themselves last. My mother lived through the war, my grandmother lived through the takeover of her homeland, and the violence that came with it. But they still forged forward and made better lives for themselves and the generations after.